Wie lange dauern die geführten Touren? Die geführten Touren dauern 3 Stunden. Wie groß sind die Gruppen bei einer Fahrradtour? Bis eine Tour stattfindet, müssen die Gruppen aus mindestens 4 Personen bestehen. Wenn für eine Tour weniger als 4 Personen gebucht haben, dann werden wir versuchen zwei andere Gruppen zusammen zu bringen. Kann ich eine privat geführte Tour für meine Freunde oder Familie und mich buchen? Sicher! Teile uns bei der Internetbuchung oder am Telefon mit, dass du eine Privattour haben möchtest. Wie viel kosten die Touren? 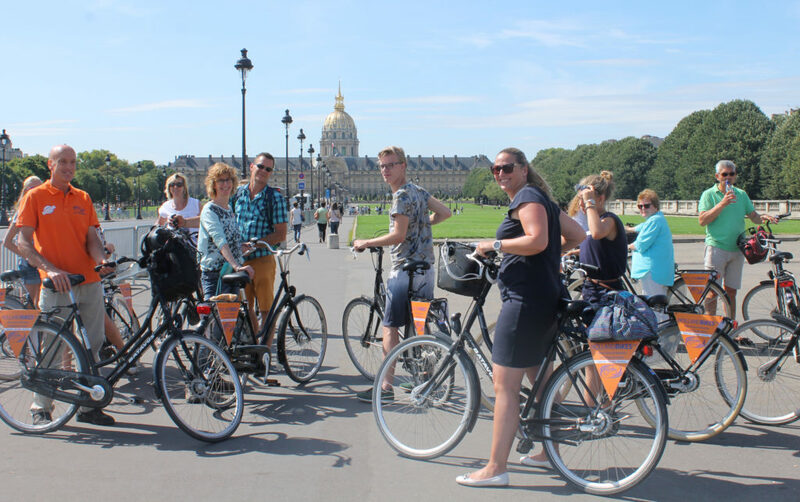 Die geführte Tour kostet zwischen 29€ und 45€ pro person abhängig von der Stadt. Es gibt auch Sonderpreise für Kinder und Studenten. Wenn du eine Tour für eine große Gruppe planst, zögere nicht und rufe uns einfach an. Es besteht die Möglichkeit je nach Anzahl einen Rabatt zu bekommen. Wo treffen wir uns und starten wir? Der Treffpunkt ist für jede Stadt deutlich auf unserer Webseite beschrieben. Bitte rufe uns an wenn du mehr Informationen brauchst. Sind Kinder bei unseren Touren Willkommen? Kinder ab 12 Jahren sind mehr als Willkommen. Für Kleinkinder gibt es Fahrräder mit Kindersitz. Es gibt keine Stornierungsgebühren. Wenn du deine Tour im Voraus bezahlt hast, werden bei einer Stornierung die Kosten zurückerstattet. Wenn du dich entschieden hast vor Ort zu zahlen, dann sind keine Kosten fällig. Kann ich mein Handgepäck in eurem Laden abgeben? Klar! Wir haben Schließfächer für dein Gepäck. Muss ich im Voraus buchen? Ja, buche bitte mindestens 2 Tage im Voraus. Bitte rufe uns an wenn du heute für Morgen eine Tour buchen willst. An welchen Tagen seid ihr für die geführten Touren und Vermietung geöffnet? Die Tagen sind für jede Stadt auf unserer Webseite beschrieben. Kann ich eine Sprache für meine Tour auswählen? Sicher. Es gibt französische, englische, niederländisch und deutschsprachige Toure. Zögere nicht und sage uns Bescheid wenn du spezielle Sprachanforderungen hast. Do we have to give a security deposit? Yes, for each product we will ask you for a security deposit. The amount will depend on two factors: The theft insurance and the type of product. The amount will be given to you directly in the shop when you rent your bikes. Because we know that theft is a possibility, we offer a theft insurance option. This insurance will enable you to pay less or none of the excess fee asked if the bike is stolen. 50% theft insurance : In case of theft, Holland Bikes will charge you an excess fee equal to 50% of the amount security deposit. 100% theft insurance: In case of theft, you will be completely covered and won’t have to pay any excess fee. Please be aware : Holland Bikes does not force you to subscribe to the theft insurance. On another han we highly recommend it. In deed, with the theft insurance, if your bike is stolen during your rental, Holland Bikes will ask you to pay 100% of the security deposit. Can I return my bike earlier or later than initially planned? 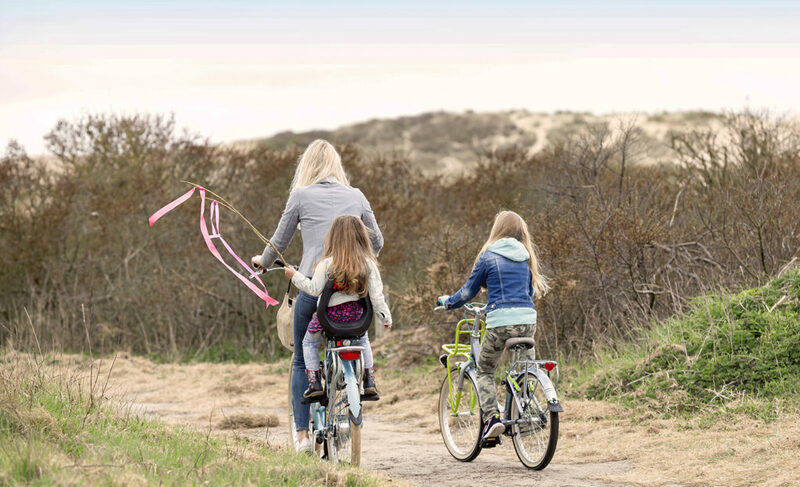 Because at Holland Bikes we know that your bike rental period might change due to the weather or a last minute change in you schedule, we do our best to be flexible. In case you wish to change the period make sure to let the shop know so that we can insure you the best service possible. When do I have to bring back the bikes? For half a day or daily rentals we ask you to bring the bikes back during the opening hours of the shop. However, if you choose our Pick and Go system (only available in Paris & Nice at the moment), you are free to bring back the bikes whenever you want, even outside our opening hours. For longer periods, we base our prices on 24 hours rentals. Therefore, you can bring the bikes back in the evening before the shop closes or on the next day at the same time you rented out the bikes (the departure hour is written on your contract). Do the bikes have baskets and locks? All our bikes come with a lock. For the basket, most of our bikes can support one, but we advise you to contact the shop to be sure. What happens if I loose the key to my lock? Don’t panic. This can happen to everyone ! You will just have to call the shop in charge of your rental in order to find the best solution for you. Please be aware: If we need to cut the lock, Holland Bikes will charge you an extra fee at the end of your rental. What happens if I have an accident with the bike? In renting a bike you become responsible for it. If the bike is damaged, we will charge you the price of the damage goods. Concerning the accident, you will need to see with your personal insurance directly. Can I adapt a tag along on my own bike? In theory, yes, if you have a bike without a pannier rack at the back. However, it will depend on the diameter of your saddle tube. We advise you to pass by the shop with your bike and discuss the matter with our mechanic before renting a tag along. Can I put a child seat on my own bike? On the contrary of the tag along, you will nee da pannier rack on the back wheel to put a child seat. If so, then there is no problem, we will help you install the seat. We highly recommend that you do. However, depending on the time of year, it is more or less important. If you wish to rent bikes in summer (especially on the Ile de Ré), we recommend that you book online as soon as can. Holland Bikes rents special and original bikes (cargo-bikes, Child and Adult tandems, Lopifit..), in limited stock. Be sure to book them before coming. For all bookings, please go to our website : www.hollandbikes.com and choose the shop you wish to rent from. Yes ! You can cancel you booking at any time. However, if you cancel less than 48 hours before the start of your bike rental, we do not guarantee you the refund if you have already given a booking deposit. What if I realize something was broken on the bike before I used it? Holland Bikes commits to checking and maintaining the bikes regularly. However, it is possible that we miss out on a detail. As indicated in your contract, you have 30 minutes to report the damages to us. How can I pay my bike rental? Can I have my bikes delivered to my holiday resort? Currently this service is only available on Ile de Ré. What happens if I breakdown during a bike ride? Once again, don’t panic ! Our bikes have anti-puncture tires and the Nexus system that integrates the gears in the wheel hub doesn’t allow for chains coming off. Nevertheless, we are aware that anything could happen. Therefore we have a free breakdown service. To know the details about this service, please call the bike rental shop directly.